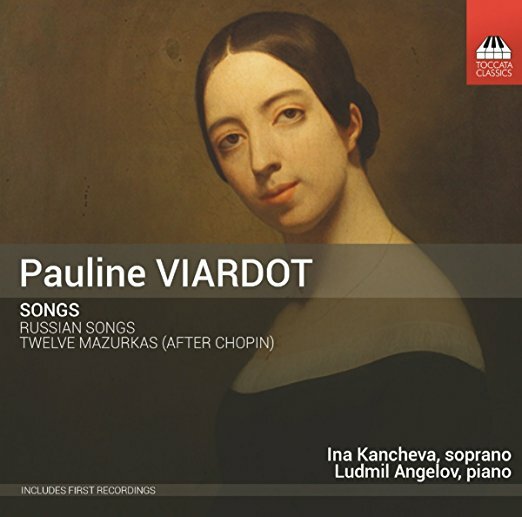 Pauline Viardot (1821–1910) was one of the most extraordinary women in the history of music. Daughter of the Spanish tenor Manuel García and sister of the mezzo-soprano Maria Malibran, she studied piano with Liszt and counterpoint and harmony with Reicha, made her debut, also as a mezzo, at the age of sixteen and went on to inspire composers of the stature of Berlioz, Chopin, Gounod, Meyerbeer, Saint-Saëns, Schumann and Wagner, And she was no mean composer herself, as these passionate songs demonstrate. Twelve of them are arrangements of mazurkas by her good friend Frédéric Chopin; the others set some major poems in Russian, a language she spoke fluently.